Juvenile maidens to begin with and five of the twelve have raced once before. Among those, (5) ROSA and (10) ROCK CHOICE recorded the best finishes, both ending up in 4th place on their respective debuts. Rosa’s first effort was at the end of September and she’s since gone back to trial, winning a heat very competently last week and improvement is to be expected. Rock Choice’s debut was three weeks ago when he has (12) YONGYEON a length and a half behind him in 5th. However, the top pick has to be one of the first-timers. That’s (3) SEOBU CAT who was as eye-catching as it is possible to be in trials, sauntering home on top in a heat a month ago. If Thomas Gillespie’s colt performs anything like that today, he should win. (6) BONINARA and (9) MAJOR POWER also looked competent in their respective heats and can go well first-up. At what will be the eleventh time of asking, it could finally be (8) INTERCEPTOR’s day. He’s been getting closer in recent efforts culminating in a decent 3rd place last time at this distance. A similar showing today will put him right in the mix. (4) BAEDARI CAPER was 6th that day and is capable of getting closer this time but a sterner test may be posed by (2) FOX COLORING. She’s shown promise across three outings to date, including a 4th at this distance and she can come from off the pace to go close here. Neither (5) MUJEOK SPEED and (7) BIG BLAZE gave an especially good account of themselves on their respective last starts but both showed some ability on debut and can be given another chance here. (7) SPARKLE did exactly that on debut three weeks ago, scoring by half a length over 1000M. He’s up in class today but should come on some more and is firmly in the hunt to maintain his 100% record. (1) LUCKY ADELE and (8) MUCHO both come in having won their respective latest starts at this class. Of the pair Lucky Adele, who ground out a tough win ahead of three of these four weeks ago, looks most likely to repeat. (5) TRIPLE SILVER has run 4th in both his latest two and should at least be matching that today. 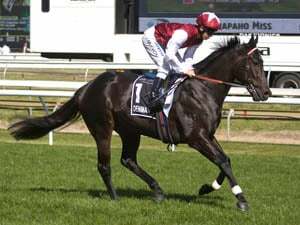 (6) HUNTER PARK ran a solid 3rd over 1200M three weeks ago – albeit a full sixteen lengths behind a very good winner – having led early. He drops back in trip here and should be on speed again with a chance of going all the way. 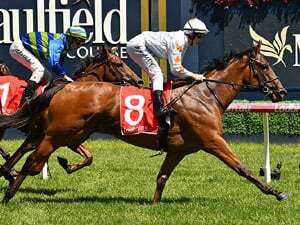 Not an especially strong maiden and following a 3rd and two 4th place finishes, (8) RACING GALLOPER will be expected to make the breakthrough here. From the outside gate, he can settle just behind the early speed and take over at the business end of the race. (3) YEONGGWANGUI STAR and (2) CHOEGANG STEALTH came home came home 3rd and 4th with half a length between them when they raced each other over class and distance on November 4th. 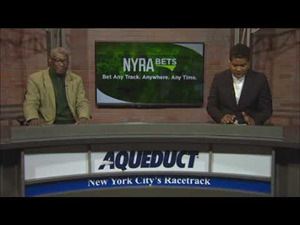 The latter has raced once since, underwhelmingly, but both can have placing chances here. (6) GOLDUI INYEON and (7) HOT GIRL are others who have shown some ability and can get close. (8) BUGYEONG DANDY has run well in his latest two, just going down by a neck in a tight three-way finish over 1300M in October. He attempted this distance once back in July on what was just his second start and while it didn’t go well, he looks ready for another try. (1) CHEONSANG OREUM has finished off well in both outings so far and she should appreciate the opportunity to get stuck into a bit of distance today. (2) CHEONDUNGBARAMSORI has a 4th place to his name at this trip and can match or better here while (6) CHEONGDAM BLADE is one start into a comeback following five months off and could be set to improve for the track’s top stable. (5) BAENGNICHONG is another who tackles the distance for the first time and it may suit. There is no obvious early speed in this race, so it will be interesting to see who takes it on. A comfortable winner on debut over 1000M on September 28th, (4) AMAZON YEOGEOL finally returns after ten weeks off up in class and up in distance but also a strong favourite to lead all the way and make it two from two over this modest set of fillies. (6) GIRL CRUSH ran well for 3rd at class and distance last time and probably has the best chance of getting close to the favourite although (9) BLUE DANCER and (5) EURO GONGJU came home 3rd and 5th respectively when racing each other at class and distance three weeks ago and both should be in the placing frame today. (3) ROYAL CLUB is slightly better than her latest two outings suggest, and she has every chance of being involved too. (1) MUPAE CHARLIE ran 3rd on debut at the beginning of November and while he was almost ten-lengths behind the very nice-looking winner, he demonstrated enough potential to suggest that it won’t take him long to reach the winner’s circle and he should manage it here. At the opposite end of the experience spectrum, (7) NEULHAERANG enters off the back of two good performances in 4th and 3rd, both at class and distance and is a likely danger. (4) STRONG AS WOOD weakened late on in a decent class and distance contest in October and coming in here off nine weeks’ break can go better, likely challenging Mupae Charlie for the early lead. (3) YEONGGWANG VICTORY returns to action for the first time since May. She looked very sharp when winning a trial a few weeks ago and could go well first-up. There is one debut-maker. (9) WORLD POWER is from Kim Young Kwan’s stable and the Super Saver colt looked promising when 3rd in a trial three weeks ago. He will be backed. 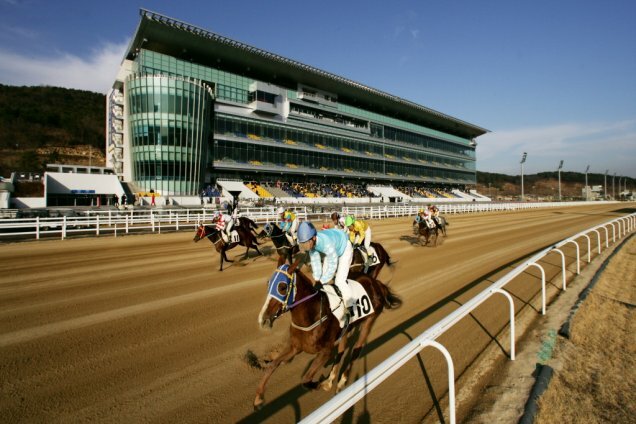 (5) YEONGCHEON STAR beat four of these on his way to 2nd place over 1000M at this class on November 16th. 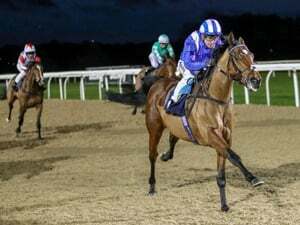 He ran on well that day and has proven competent at this distance in the past so the extra furlong may well see him home on top here. (7) WINNING AGAIN finished 3rd in that race, just a nose behind Yeongcheon Star and is sure to be a big threat here, even if his best work so far has been at the minimum distance. (2) SPOT makes a quick return after running 5th at class and distance two weeks ago. He’s well drawn to get on the early speed here and figures to get close. (6) LUCKY HANMA and (10) CHOEGANG BULLET, both of whom have trialled since their respective latest outings, are others who look in the frame. (5) KOREAN FORCE beat five of these on his way to a one-length victory over 1400M on November 9th. He carries an additional 3.5kg today but the drop back in trip should do him no harm at all and he can win again. Of the ones he beat that day, (4) SAEBYEOCK BADA got the closes and he can be a danger again, while (10) DANGDAE GEOHAM ran poorly, only beating one home but bounced straight back to run 2nd at this distance two weeks ago which brings him into contention here. Among the ones who didn’t go in that race, (2) DUBAI TEUKGEUP returns for the first time since July and looked in fine shape winning a trial three weeks ago. (3) EUROPA is competent at class and distance and while he generally finds a couple too quick, he should beat plenty. After having bad luck in both the KRA Cup Mile and the Korean Derby, (6) WORLD SUN got his reward winning the final leg of the Triple Crown, the Minister’s Cup, over this distance at Seoul in June. He’s raced three times since them picking up a win over 1800M here at Busan and last ran 6th behind Triple Nine in the President’s Cup five weeks ago. Tis isn’t easy but he should have too much class for this field. (5) GOLD BLUE arrived late on the scene for a fast-finishing 5th in the KNN Cup last month and so long as she doesn’t leave herself too much to do, should be a threat here. (1) BAENGMUNBAEKDAP only managed 7th on his first attempt at class 1 a month ago but may go better today, tackling this distance for the first time. (3) GOLIATH MARINE was an also-ran in the President’s Cup but should be much more dangerous today and will join Gold Blue in attempting to close late. (7) PASHA is up in class and distance following a win and a 2nd place in his latest two and he too can acquit himself well.